The website you're viewing has evolved from a collaboration between Swansea University, Mary Rose Trust and Oxford University. It has two sections, one public and one for researchers / academics whose work involves the analysis of human remains. If you’ve arrived here you’re probably an osteologists, forensic anthropologist or archaeologist or maybe a grad student in one of these disciplines. If you’re experienced in the analysis of human remains we’d really like your help with our global scientific community photogrammetry project. 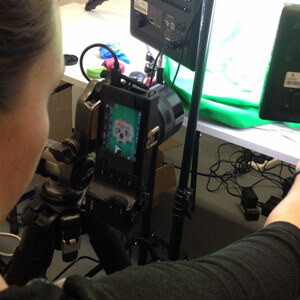 Photogrammetry, a method of creating a 3-D object from 2 or more still images, is routinely used in various areas of science, and can even be achieved via free Apps for smart phones. It has been recognised as a useful tool by archaeologists for recording large scale site information and for displaying artefacts. Whilst studies have been undertaken to determine if photogrammetry scans, when correctly scaled, can be used instead of laser surface scans, we are not aware of any studies that have investigated its usefulness for visual data. 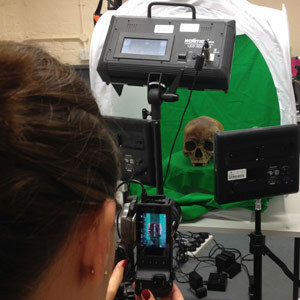 We have optimised the process of photogrammetry, with regard to image quality, and pilot data indicates 3-D photogrammetry models can, to a certain extent, replace real human remains for certain visual traits. So how can you help? We would like anyone who feels that they have an appropriate background in osteology to help us answer our research question. How reliable is web-based virtual osteology? 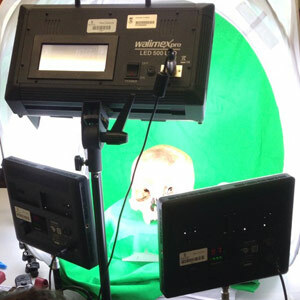 We have already conducted a study to compare real vs virtual analyses of the 10 skulls on this website. The osteologists involved used specific, high end calibrated laptops, in controlled conditions. We would like to find out, from you, just how controlled these conditions have to be. Are most modern laptops / desktops capable of reproducing the pilot results? Are certain systems better than others? Is there a regional variation for the identification of certain traits? And probably many other questions. So what’s an appropriate background? Well, a good starting point would be if you have studied human osteology. So you might be an archaeology student or you might be a professional osteologists or a forensic anthropologist or maybe an anatomy lecturer. If you think you fit into our broad profile, and would like to take part, please register by clicking the REGISTER button, where you’ll be asked to complete a short form to allow us to assess your suitability.